Rory McIlroy’s Stat’s on and off the course. 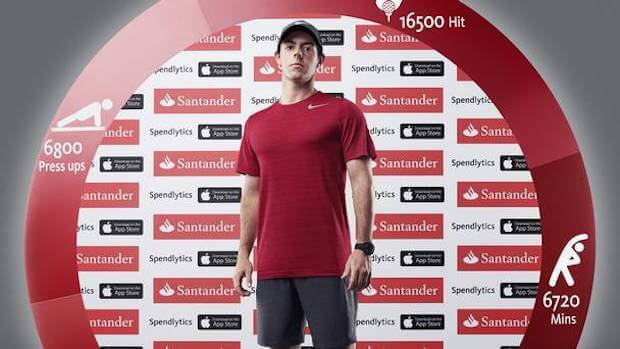 ‘More pies then push-ups‘ is the heading to an interesting set of tweet’s Rory has recently published giving us an insight into his life on and off the course and more directly describing his improved training program. We probably had a fair idea that his travel schedule was hectic and that his exercise regime was intense but now we have the statistics to confirm it. All that amazing power he demonstrates on a weekly basis doesn’t just happen, it requires plenty on practice on the range and a lot of the time sweating it out in the gym, as the following graphs details. Actual shots hit, interviews, autographs, everything has been recorded. And how about his travel schedule, 350 hours in the air and a total of 287 nights spent in a hotel room, sounds tiring just reading it. But surely he makes time for all those exotic holidays you see celebrities enjoying all the time, not Rory, he had a total of 18 days off work for the entire year! 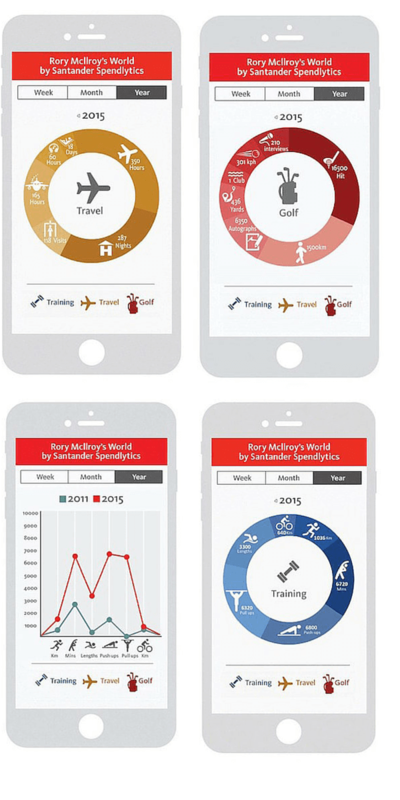 Thanks to Santander we are given an intriguing statistical over-view into one of the best and most famous athletes in the world.